What was Khrushchev like? William Taubman, a professor of political science at Amherst College, has now published Khrushchev: The Man and His Era, the first comprehensive and scholarly biography of Stalin’s successor. As part of a painstaking attempt to answer the question, he quotes the psychologist Nancy McWilliams on the “hypomanic” type: “Elated, energetic, self-promoting . . . work-addicted . 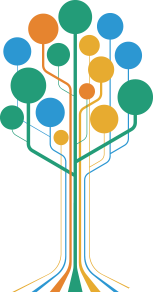 . . lacking a systematic approach. . . . Grand schemes, racing thoughts . . . constantly ‘up’—until exhaustion eventually sets in.” It’s not everything, but it’s a start. Khrushchev was born in 1894 in the Kursk region, and when he was 14 the family moved to the proletarian mining city of Yuzovka (which was later renamed Stalino and then Donetsk). He began reading Pravda in 1915, as a metal fitter in the mines, but he didn’t join the Bolshevik Party until more than a year after the revolution. Khrushchev said that while working at foreign-owned enterprises he “discovered something about capitalists. They are all alike, whatever the nationality. All they wanted from me was the most work for the least money that kept me alive. So I became a Communist.” He served in local party organizations in Ukraine, and in 1929 he went to Moscow, where he became involved in the city party committee. During the early infighting in the party, Khrushchev sided first with the Trotskyites—not, as it turned out, an ideal entry on one’s Communist curriculum vitae. For nearly any other Soviet politician of the 1930s, this would have been a blemish worthy of execution. Stalin merely forced Khrushchev to make a frank confession of it. Stalin’s view of the matter seems to have been that the true Trotskyites came from the older party intelligentsia—the professional revolutionaries. A naïf, a semiliterate worker member, likely appeared to Stalin an ignorant dupe, not a lost soul. Khrushchev himself seems to have attributed his rise to luck: He met Stalin’s wife, Nadezhda, while taking a course at the Industrial Academy, and she passed the name, and her approval, along to her husband. In one sense, Taubman’s chapters on the struggle for power, first under Stalin and then among his competing successors, remind one of Saint-Simon (the courtier, not the socialist). Ambition, intrigue, slander, temporary alliances, and betrayals: The essentials are the same. The tone, however, is rather different. In place of the well-turned, feline exchanges of Versailles, there is a certain coarseness. Khrushchev, a prolific user of profane language, was particularly adept in this regard. We find, too, the secret-police chief Lavrenty Beria pinning on the back of Khrushchev’s jacket a label bearing the word “prick”—hard to imagine in the Bourbon court. Taubman’s biography gives a thorough account of Khrushchev’s early career, and he does not play down Khrushchev’s role in the 1937–38 Great Terror. When he was appointed head of the Ukrainian Party committee, in 1938, he pledged to “spare no efforts in seizing and annihilating all agents of fascism, Trotskyites, Bukharinites, and all those despicable bourgeois nationalists.” His suppression of the Ukrainian nationalist movement in the mid-1940s was ruthless. Taubman notes that three-quarters of a million men, aged 19 to 50, were conscripted, given eight days’ training, and thrown straight into battle against the Germans. All this is a reminder that the huge Soviet mortality rate in the war cannot be presented simply as heroic sacrifice. After the prolonged power struggle that followed Stalin’s death, Khrushchev emerged as the leader of the Communist Party. Countless prisoners in the Gulag camp system were freed. On February 25, 1956, Khrushchev went before a closed session of the Twentieth Party Congress and delivered a speech that proved to be his most lasting legacy. He denounced Stalin’s “personality cult,” his “capricious and despotic character,” and the “brutal violence” with which he ruled the country. Khrushchev, who was also interested in lifting blame from his own generation and in continuing the regime, delegitimized Stalin, yet, at the time, he did not seem to realize what the results would be. The “secret speech,” which was soon leaked to the Western media, provided only limited details of the torture and execution of leading party members, but it began the long process of exposing and, eventually, undermining Communist authority in the Soviet Union and abroad. The speech sparked rebellion in Poland and the Hungarian revolution. It shocked into sanity a whole stratum of the Western intelligentsia that had, to one degree or another, accepted the fairy tale as painted by Stalin and his court historians. When Mikhail Gorbachev resumed the Khrushchev initiative, 30 years later, he, too, began by revealing suppressed secrets of party history, and he, too, began hesitantly, fearful of attacking Lenin, lest it lead to the immediate collapse of the entire Bolshevik project. But that would come. 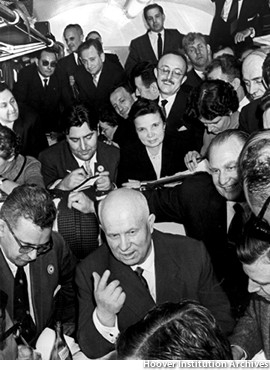 Khrushchev’s forays into foreign affairs were especially erratic, incandescent. In his relations with foreigners, Khrushchev was always, and openly, alert for any sign that he, or the Soviet regime, was being “disrespected.” And he was always prepared to respond with disrespect of his own. In Paris, he thought (wrongly) that he was being hissed by West German journalists, and he shouted about the “fascist bastards we didn’t finish off at Stalingrad.” After a confrontation with British prime minister Harold Macmillan in Moscow, he told an associate in the leadership that he had “[expletive] him with a telephone pole.” It was also a trifle undiplomatic to tell the Americans that he had four or five bombs ready for France and Britain. 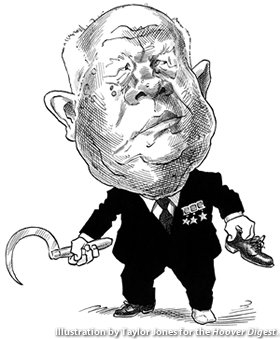 During a series of tense negotiations with the Chinese Communist leadership in Beijing, Khrushchev, in a room that he certainly knew was bugged, entertained his delegation with obscene rhymes about various Chinese leaders and references to Mao as “old galoshes”—a term for a used condom in both Russian and Chinese slang. Taubman’s chapter on the Cuban crisis of 1962 is a full accounting of Khrushchev’s huge and dangerous miscalculations. Even in this supposedly planned venture, and with the possibility of worldwide destruction, a remarkable level of incompetence prevailed. The general who was chosen to be in charge, Issa Pliyev, was distinguished only for having put down a rebellion of Soviet workers in the southern city of Novocherkassk earlier that year. Described as knowing “more about horses than missiles,” Pliyev impressed no one in the Soviet hierarchy but, nevertheless, was given authority to launch tactical nuclear missiles. How did Khrushchev keep power? The question persists not merely because of the inanity or the collapse of his policies. He was also tactless with his allies and subordinates. Brezhnev, who finally helped unseat him, recalled that Khrushchev had once called his Kremlin colleagues “dogs peeing on curbstones.” Khrushchev described his loyal foreign minister, Andrei Gromyko, as “a piece of [expletive]”—a favorite expression usually reserved for rivals or foreigners. The Soviet political machine, however, was so centralized that it took years of such error and abuse to create an atmosphere in which a coup could occur. Shortly after Khrushchev was removed from power, Pravda published an editorial that referred indirectly to his policies as “harebrained,” “half-baked,” “hasty,” “divorced from reality,” “bragging and bluster,” “attraction to rule by fiat.” In fact, this was pretty mild compared with some of the accompanying speeches—and all of it was true. Perhaps it was necessary to be unreliable and inconsistent in order to emerge from the ideological trap of Stalinism, and then the direction could not be fully reversed. In retirement, Khrushchev was treated harshly by the Brezhnev regime, but Brezhnev failed to prevent him from dictating his memoirs and, eventually, publishing them in the West. The memoirs are vital for Taubman’s exhaustively and effectively researched opus, as are countless pages of archival material that have emerged since the collapse of the Soviet Union. Taubman is a voracious researcher, but I only hope, for his sake, that his conscience did not force him to read through all those volumes of Khrushchev’s speeches on agriculture. Short of that, he has tapped every available source for this veritable Volga of a book. This essay appeared in the New Yorker on March 31, 2003. Available from the Hoover Press is The Collapse of Communism, edited by Lee Edwards. To order, call 800.935.2882.